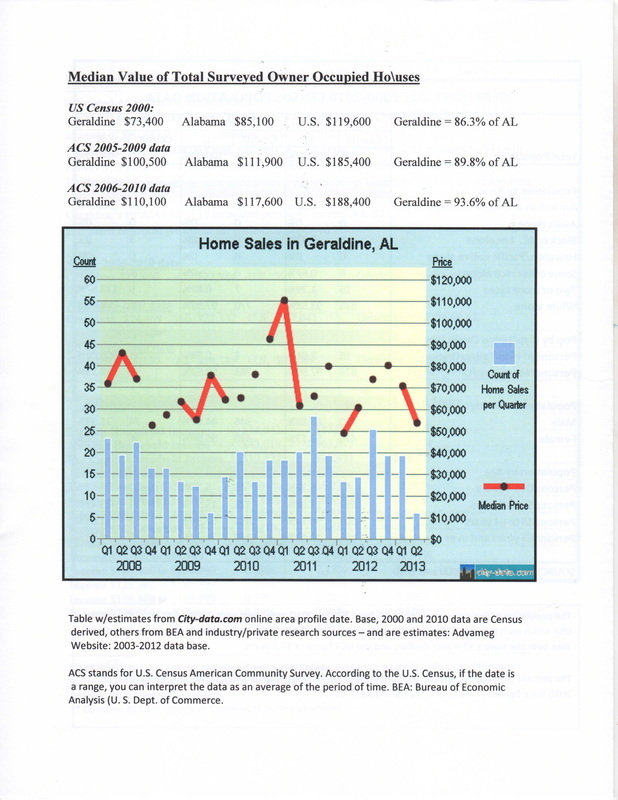 Geraldine is located on top of Sand Mountain between Albertville and Rainsville on Alabama Highway 75. ALDOT has widened Highway 75 into a four lane much of the distance between these cities with plans to complete the widening in the future. 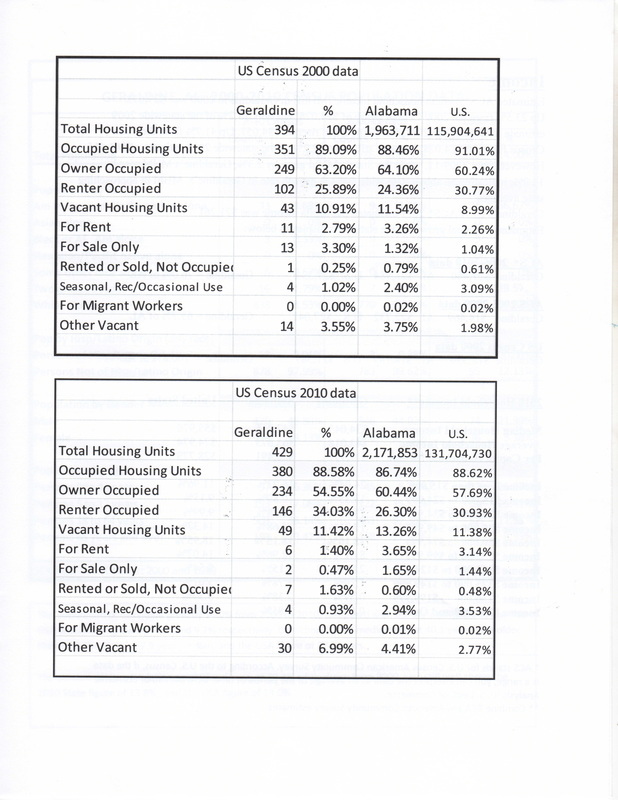 Geraldine is also located between the two large metropolitan cities of Huntsville and Birmingham. It is unique in that two electric companies, Marshall DeKalb Electric and Sand Mountain Electric, as well as two water boards, Northeast Water and Waterworks Board of Section, serve the community. Natural gas is available through DeKalb County Gas District and several propane companies operate within the town. Geraldine has recently obtained a grant to build a waste water treatment plant and will install a sewer system in the near future. 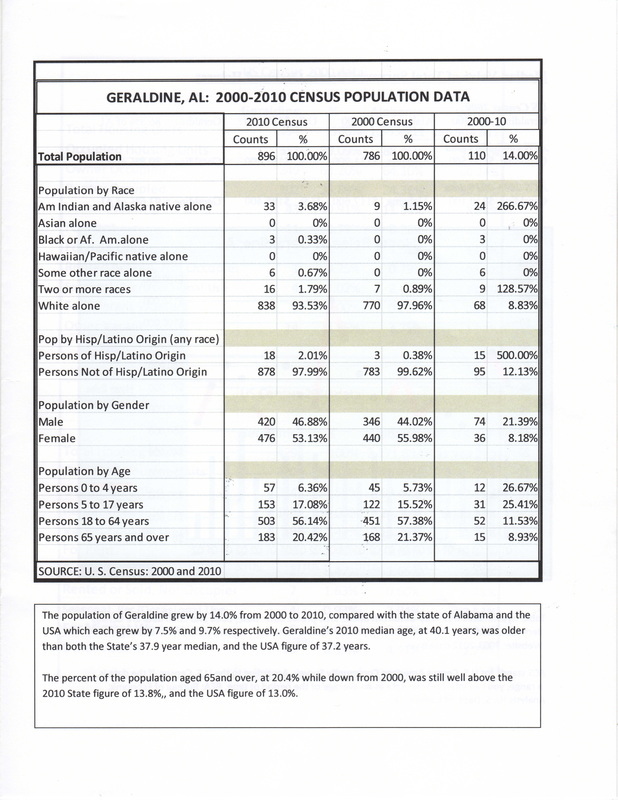 Geraldine High School serves the community with a great school system for K through 12th grades. There are opportunities for commerce and industry within our town with store rentals or open land for development. 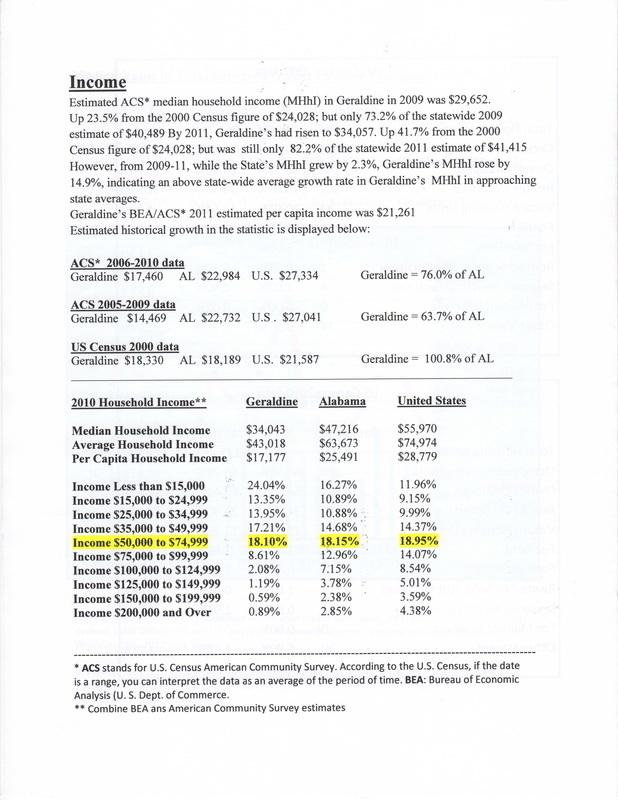 The census bureau information below will show the statistics for population and household income. We would love to have your business! If you have any questions, please feel free to contact us at 256-659-2122.